Home Cutoff-Marks-for all-Exams SBI SBI-PO-EXAM SBI PO Marks 2018 Out, Check Scorecard here! SBI PO Marks 2018 Out, Check Scorecard here! SBI PO Prelims Marks 2018 out! State Bank of India has released the marks obtained by the selected candidates in the prelims of the exam. 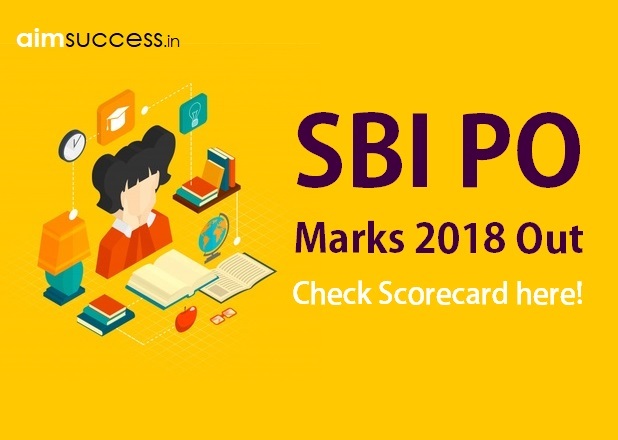 Students who have been shortlisted for SBI PO 2018 Mains can now see their scorecard from the direct link provided below. How To Check SBI PO Prelims Score Card 2018? We know that SBI has introduced a major change in the cutoff pattern this year. The sectional cutoff has been removed from the Prelims exam of SBI this year. The final selection of the candidates has been made based on the overall marks obtained in the Mains exam as well as the marks scored by the candidates in the Group Exercise and Personal Interview Round. You can check out the final cutoff of SBI PO Prelims 2018 below. The Mains phase of SBI PO 2019 will be conducted on 4th August 2018. The Group Discussion and Interview rounds of SBI PO will be conducted in September 2018.